Toronto – The Canadian Football League Players’ Association (CFLPA) released the following statement in response to yesterday’s decision by the Supreme Court of Canada in the court filings made by Arland Bruce. "We are disappointed by the decision of the Supreme Court of Canada to dismiss the case filed by Mr. Arland Bruce against the Canadian Football League and its member clubs. We have followed the proceedings closely and are disheartened that players who suffer from post-concussion related symptoms, sustained while working as professional football players in Canada, no longer have the option to pursue court litigation for their suffering. 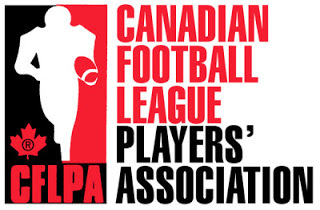 The safety of CFL players remains a priority for the Association. We expect that the Canadian Football League shares this priority and will immediately take action by working with our team to find solutions that address the widening gap in duty of care for players like Mr. Bruce as well as others."